Bhanu Athaiya just can't stop talking about what she loves best -- dressing up the stars. 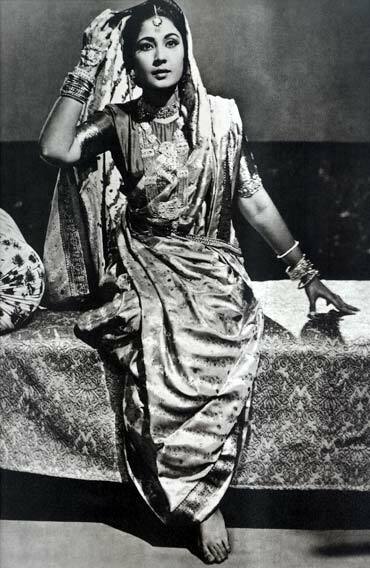 An Oscar winner for her work in Gandhi, Bhanu Athaiya has been designing costumes since 1953. Some of her works can be seen in some of the biggest movies in Hindi cinema like Gandhi, Lekin, Guide, Mera Naam Joker, Ganga Jamuna, Lagaan, Jodha Akbar and Swades. 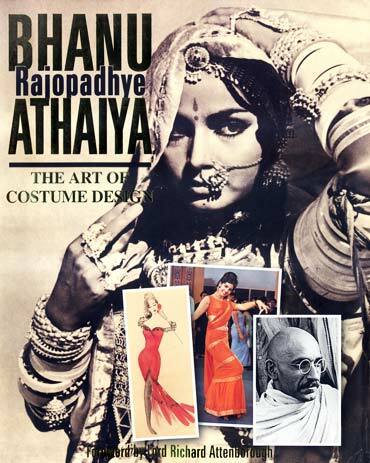 After reading fascinating excerpts from her autobiography, Bhanu Rajopadhye Athaiya The Art of Costume Design, Patcy N caught up with Bhanu Athaiya to know more about her movie experiences. I have been working in the industry for more than fifty years now. I have done a huge amount of work for cinema. I have done about two hundred films. So it was the right time to write about my experiences. Plus, I wanted the world to see the kind of films we were making here in India back then and my contribution to those films. Why didn't you write the book earlier? I was too busy to write then. It took me two years to write this book. A lot of time was spent on research, collecting and compiling the pictures and getting the drafts approved. This is not the only book I am working on. I have one more book on cinema coming out by the year end. Some of the films you worked in was Gandhi. How was the experience? Richard Attenborough [director] was auditioning a lot of people for designing the costumes for the film. He met me and within 15 minutes declared that he had found his designer. Attenborough was looking for something specific; he wanted someone to translate the Indian scenario in a right way. We couldn't afford to make mistakes. Gandhi had to be Gandhi. Yes, the Oscars were big even then. When the nominations were announced some people said we didn't stand a chance. Tell us about your experience of working on Raj Kapoor's films? I did my first costume for Kamini Kaushal's movie Aas and then Chalis Baba Ek Chor. She was my first client. One day Nagris Dutt saw one of my fashion sketches -- an embroidered sari design -- that I had done and asked me to make a sari for her. Later she introduced me to Raj Kapoor. After that I did six pictures for Raj Kapoor and six for Guru Dutt. They loved my work and continued working with me. In those days we never got a script of the film. So what Raj Kapoor would do was call me to his office at RK Studios and narrate the story line to me in detail. If there was a song in between he would play it on the harmonium. He would give me the complete feel of what he was going to make and then he would ask me to come up with ideas in an hour's time. Since I am a painter I always carry my sketch book and pencil. I would make a sketch right away which he would then select the best ones. After that he would call the accounts department and ask them to give me the money. It was very smooth working with him for the simple reason that he was a person with an art background. 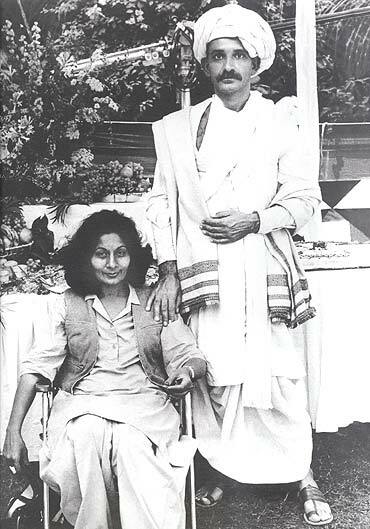 Guru Dutt's sister and I studied at the same art school so he knew me. I also knew his wife [Geeta Dutt] even before they got married. So I knew all about him even before I joined the film Industry. He was very quiet, soft spoken and sensitive person. He would explain exactly what he wanted. While working on Sahib Bibi Ghulam, he sent me to Kolkata to study the culture of the Bengalis. I did all my shopping for the costumes there. Where else in Bombay could I get good Bengali saris? Which actor did you have the most fun working with? Which was your favourite film? I had fun with everybody. Whether it was Waheeda Rehman, Meena Kumari or Mumtaz, each and every actor enjoyed working with me. Just a few days ago I spoke to Mumtaz. We spoke about the lovely times we spend working together. She said she looked lovely in her movies because of me. I have that kind of rapport with all my actors. The other day I contacted Helen. She was so excited when I called her out of the blue. All those happy memories came flooding back. Waheeda Rehman also came for the launch of my book. I cannot choose any one film I had worked on as my favourite. I love all of them. Which actress had the best body to carry off your designs? Each person is unique. 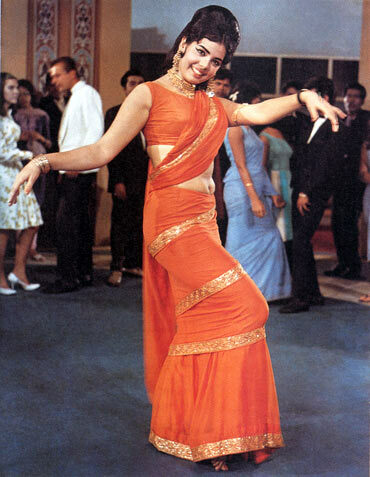 Mumtaz looked great in western clothes. Check out Aadmi Aur Insaan and you will know what I mean. She had beautiful height, proportion and graceful movements. She was simply the best. 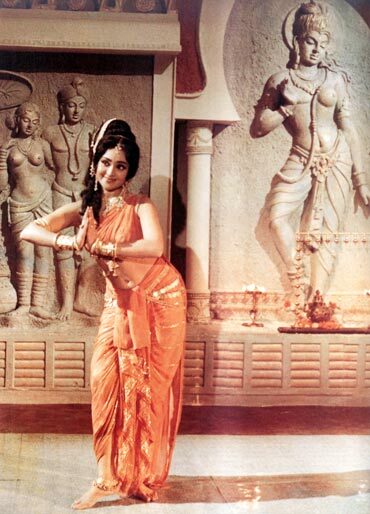 Then there is Hema Malini who looks very good in a sari. You won a National Award for Lagaan. What was the briefing given to you for the film? Ashutosh Gowariker [director] narrated the script to all of us. I was given more than two months time to come up with the designs. First, I got the material and then went to London take the measurements of the British actors. I started working on the costumes after returning from London. You also got a National Award for Lekin. Did you to go to Rajasthan to study the clothes? Yes, I went to Rajasthan before the shoot. We shot the film in a village called Pallival. Actually it was a ghost town. As Dimple plays a ghost in the film, I was asked to make the clothes look as if they were worn a hundred years ago. Yes, I went to Rajasthan to study what the local people were wearing. I incorporated all that I have seen to get the costumes including the fabrics just right. I was on the sets throughout the duration of the shoot. Amrapali is about kings and queens. How did you come up with the designs of that era? I am an artist and have traveled a lot. My study tours have taken me to places like Ajanta, Ellora and Jaisalmer. I sketched whatever I saw. So those drawings, memories and experiences came in handy. 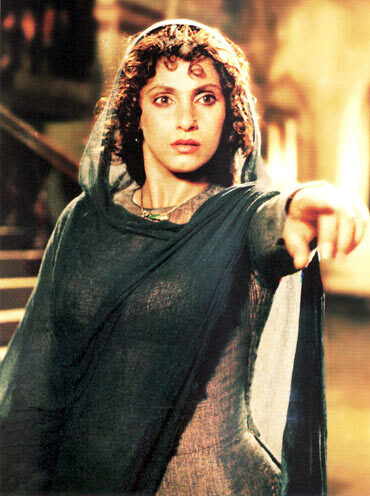 I knew the clothes worn in that era and translated them for the movie. For Ali Baba aur Chalis Chor we went to Russia and studied the local attire as the film is mix of actors from here and there. So we had to blend the costumes. I also interacted with designers from there. Waheeda Rehman did a marvellous job in Guide. She looked so beautiful. What do you have to say about today's designers? Today's generation does not know the difference between costume and fashion designing. Most of them design clothes for the lead actors. They work according to the actors' requirements and not the movies' needs. That is not costume designing. Costume and fashion designing are two separate activities. Fashion designing is more personal; the designs can be simple or elaborate depending on the occasion. But in costume designing you are making a costume to create a character. To make costumes for Gandhi you can't go and shop from the stores. You need a vision to create such costumes. You need to understand life otherwise you cannot do it. Good work requires lots of study and hard work. In that case what is the process of costume designing? First you have to have good script. Clothes should be made after interactions with the director. Actors should not be involved in this stage at all. It is the director's vision which he will then translate to a costume designer, who in turn has to work out what is right. The next stage is when me meet the actors. Everything has to be made from scratch. You don't go to the mall to shop for clothes. 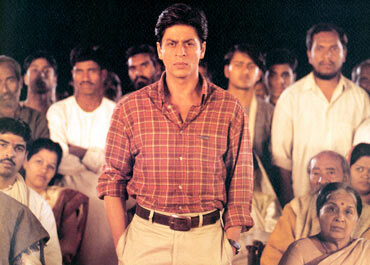 Even in the contemporary film scenario like Swades, I did my own portfolio about what should be Shah Rukh's wardrobe. I made a portfolio and then showed it to the director Ashutosh Gowariker. He was happy and so was Shah Rukh. Normally the other designers take empty suitcases and go shopping for the actors' clothes in New York. To me this is bankruptcy of imagination. Loved Mother India? Now, you can read it!